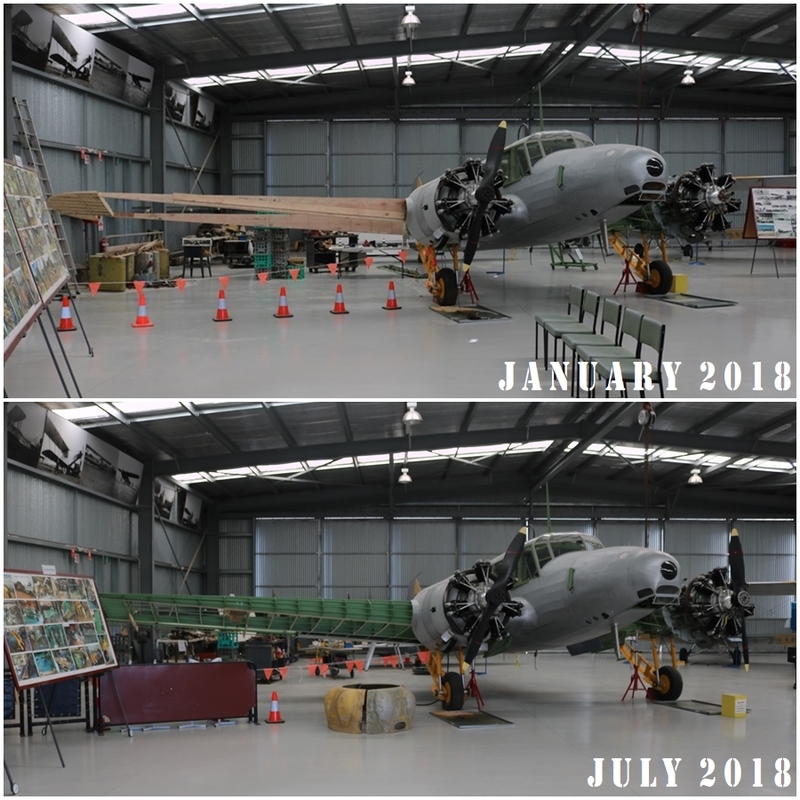 Regular readers will know that since 2012 I have been following the progress of the grass-roots, community based restoration of a former Royal Australian Air Force (RAAF) Avro Anson Mk.I (Serial Number W2364, built in 1941) at the Nhill Aviation Heritage Centre (NAHC) in the small Wimmera town of Nhill, Victoria. 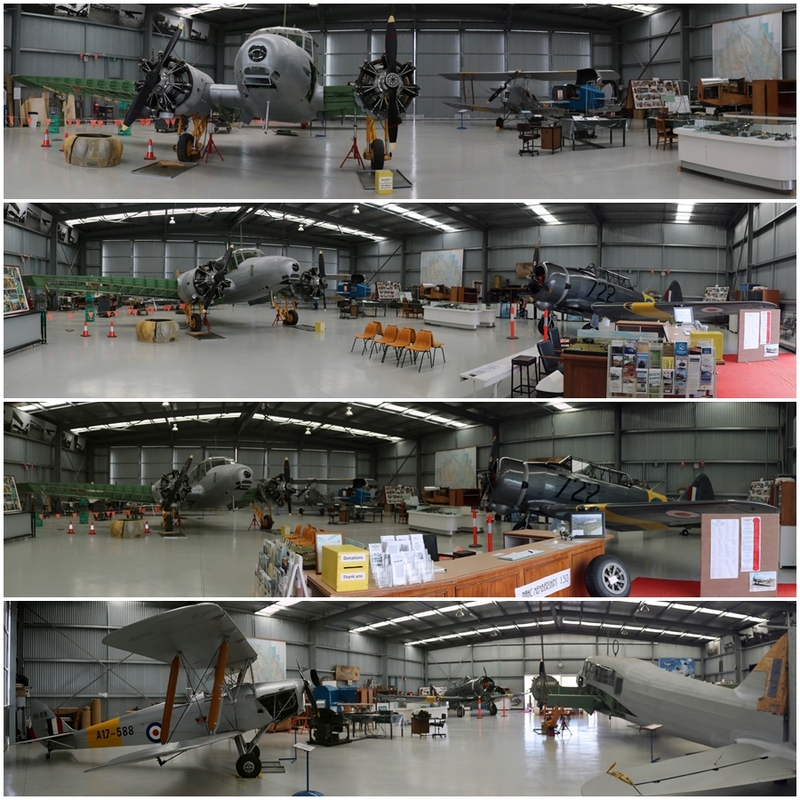 The project has gone from a backyard shed based restoration of the Anson which commenced in 2009, to a fully fledged aviation museum at the Nhill Aerodrome in 2018! The aerodrome is a small one today, but during World War Two it was an RAAF Empire Air Training Scheme (EATS) air base for training aircrews. 10,000 plus men and women were trained at the base between 1941 to 1946, whilst attending the RAAF No. 2 Air Navigation School, No. 1 Operation Training Unit, No. 97 Squadron Reserve, Air Armament and Gas School. 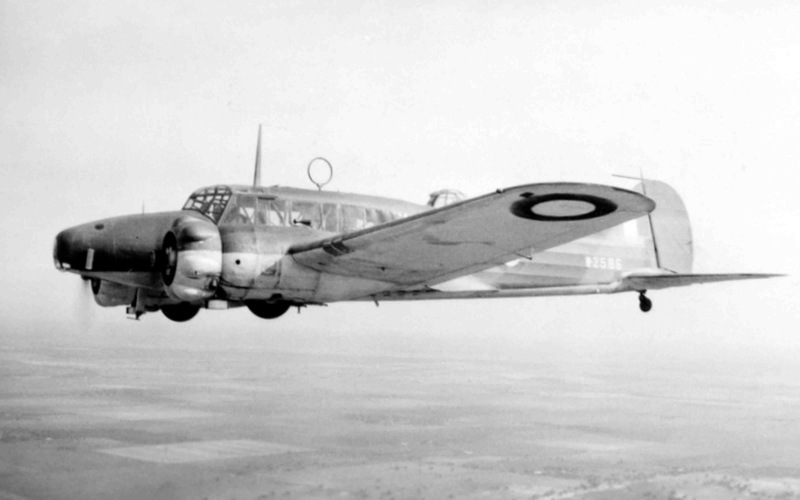 During that period, around 30 Avro Anson training aircraft were based at Nhill, alongside 10 Australian designed and built CAC Wirraway training and utility aircraft – these aircraft conducted air navigation, armaments and bombing training alongside several de Havilland DH.82 Tiger Moth biplane basic trainers. In addition around 18 DAP (Bristol) Beaufort torpedo bombers and Lockheed Hudson light bombers were also operated at the base. 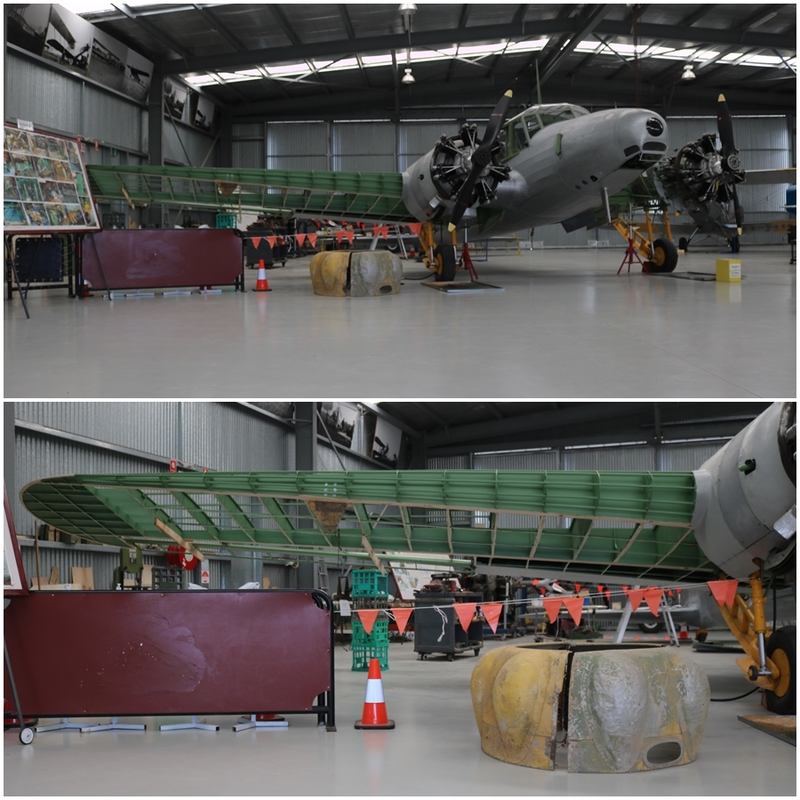 The latter two are extremely hard to come by today (although they do exist in limited numbers in Australian museum collections, including the only flying Hudson at Temora) but since the Ahrens Hangar museum building was completed in 2014, the aim of the NAHC was to have an example of each of the principle Nhill training aircraft, the Anson, Wirraway and Tiger Moth on display, plus a restored Link Trainer. I am very pleased to say that as of April 2018, this has been achieved! All this in just a few years! 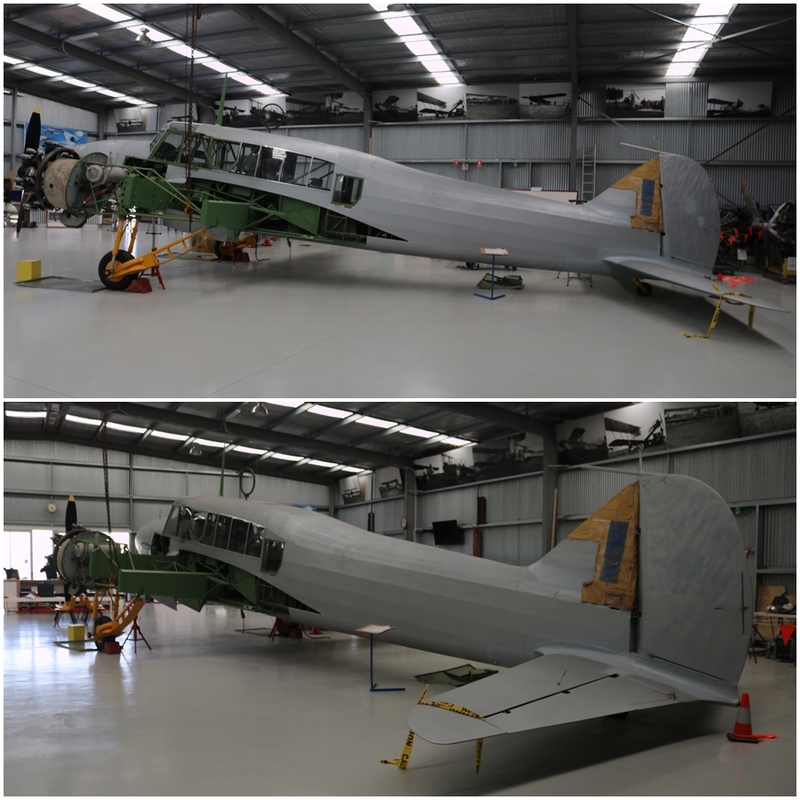 The restoration progress of the Avro Anson continues at a steady rate. 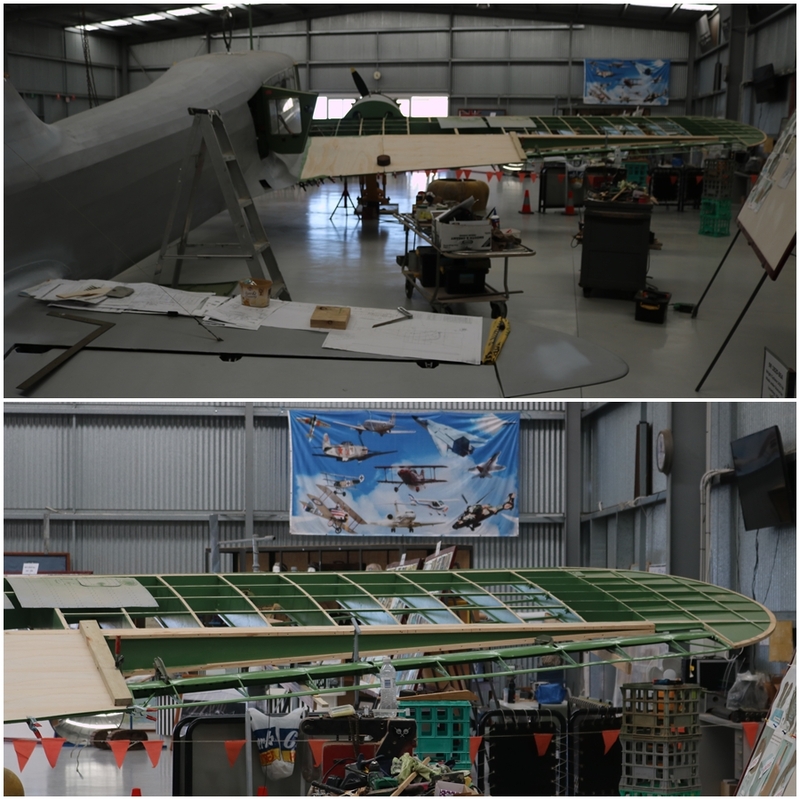 Since my last visit to the museum in January 2018, the most noticeable change has been the steady construction of the wooden starboard wing framework, as per original Avro plans. 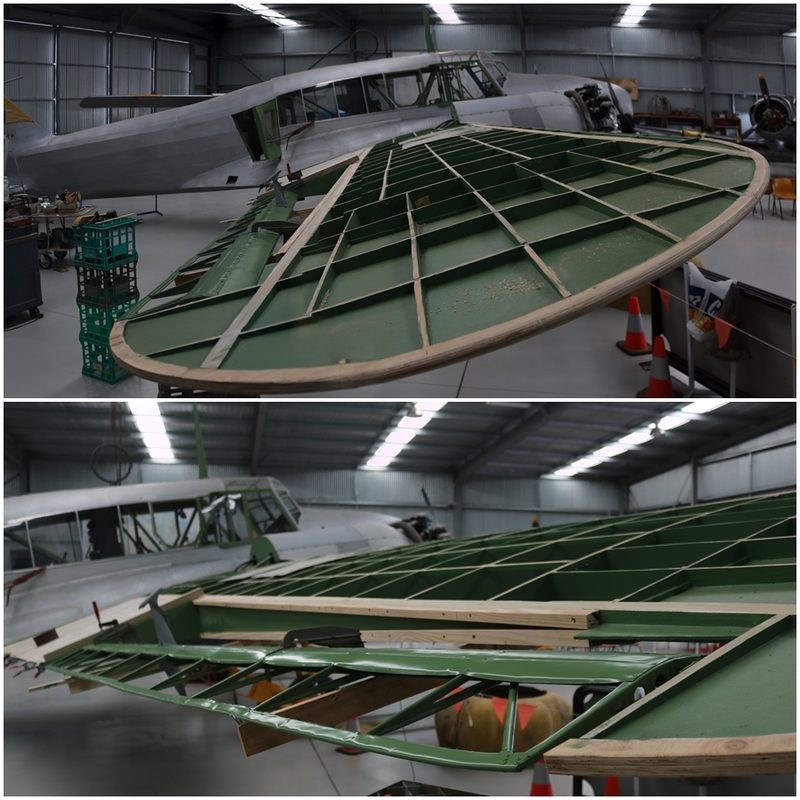 Although this aircraft is not being restored to flight (the plan is to have it be able to taxi), the level of detail to be an exact restoration is remarkable. 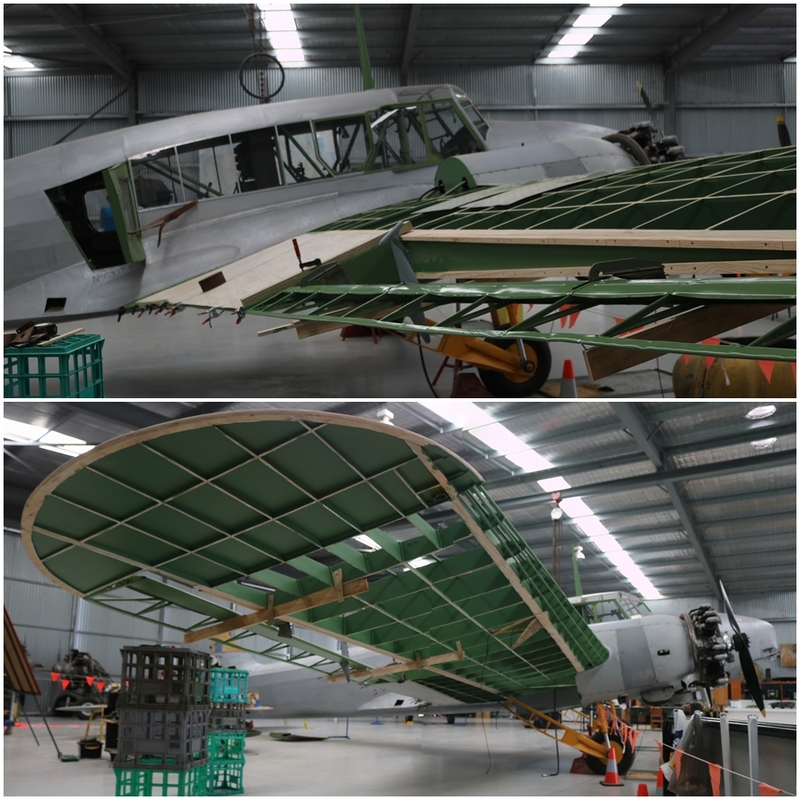 Restoration progress on the starboard wing of the Avro Anson Mk.I (Serial Number W2364, built in 1941) at the Nhill Aviation Heritage Centre (NAHC) January vs July 2018. Note the addition of the port propeller too. Following the Anson, the next acquisition by the NAHC were two Link Trainers. 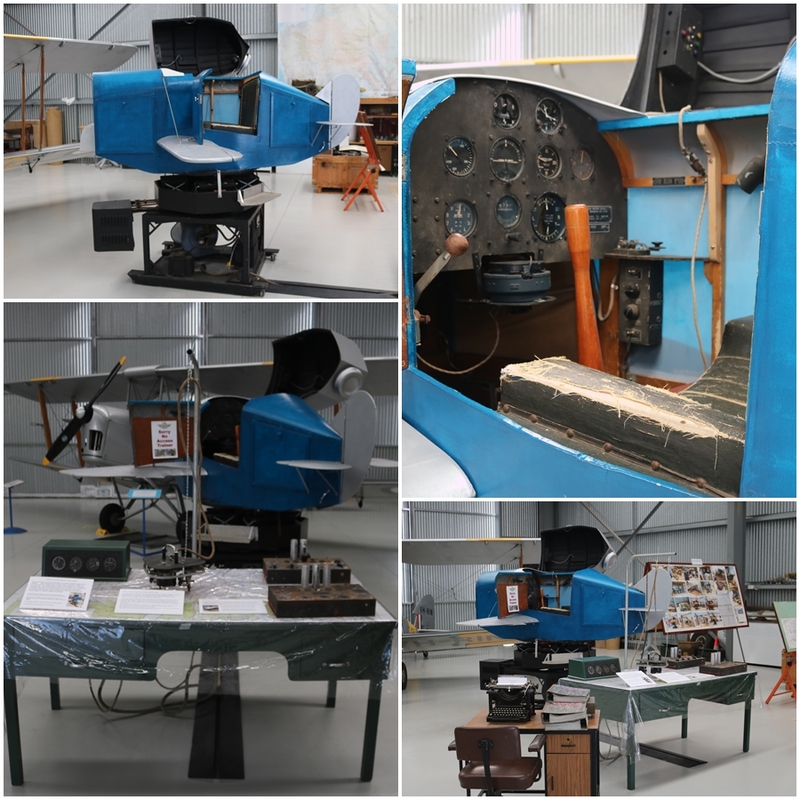 These are an early flight instrument and flight training simulator produced from the 1930’s to the 1950’s by Link Aviation Devices Inc. in New York. 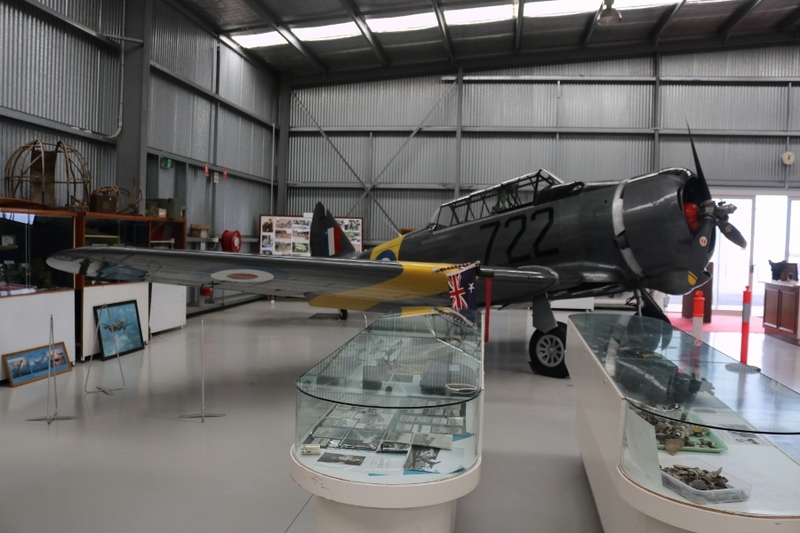 They were a key pilot training component in World War Two for most Allied nations including Australia and were part of the training program at Nhill. 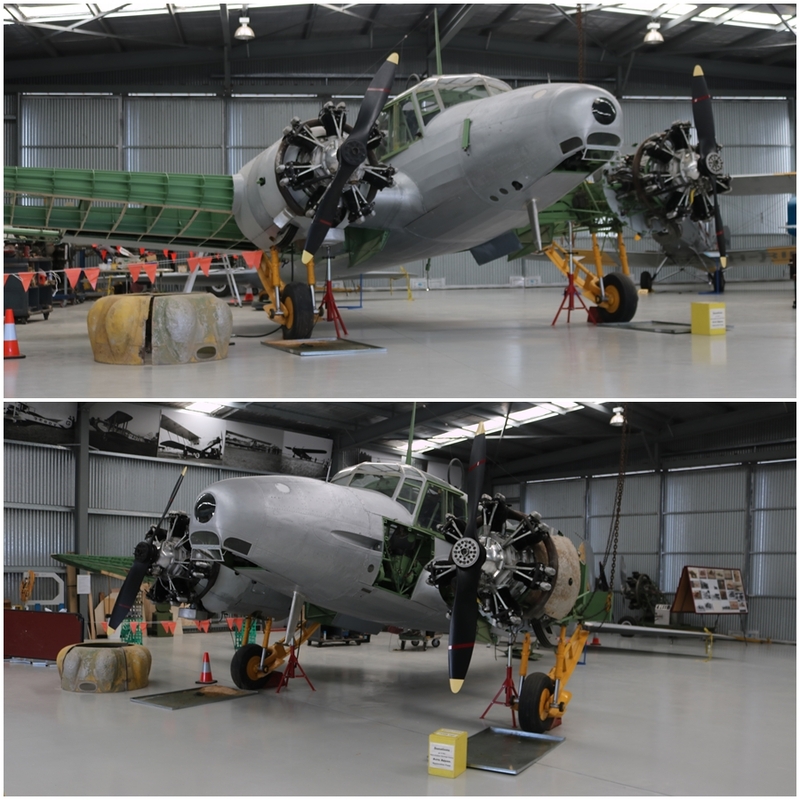 Two RAAF Link Trainers (A13-54 and A13-60) are being restored at the NAHC but A13-60, which is now in working order will be returned in the future to its owner, who has an agreement with the NAHC that they would restore both to working order in exchange for permanently keeping one at the museum. 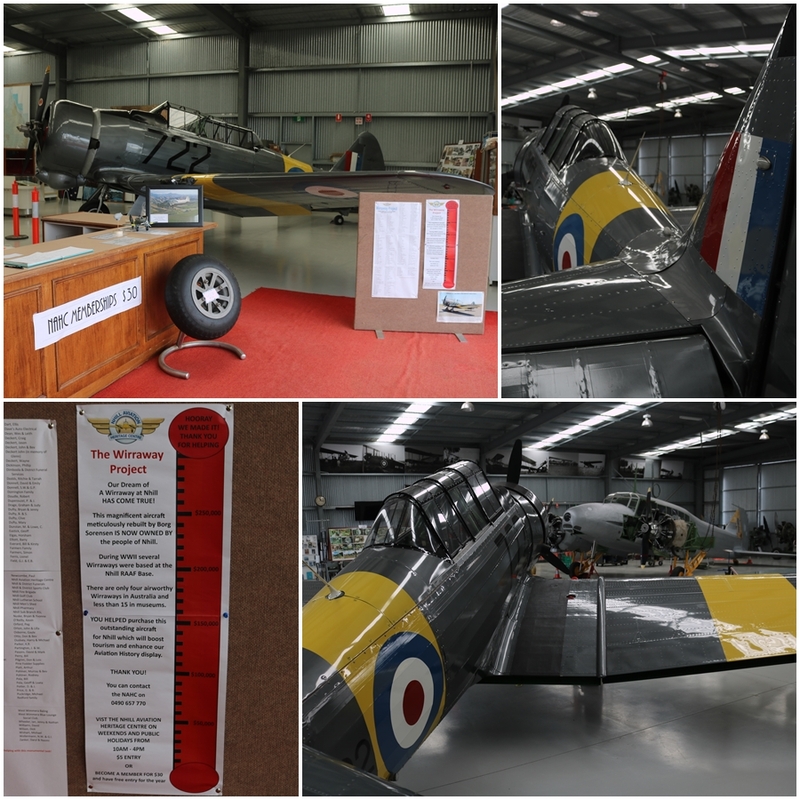 In 2017, the main addition to the museum hangar was de Havilland DH.82A Tiger Moth A17-588 (later registered as VH-GMF, currently VH-RIN), which is privately owned by NAHC Member, Len Creek. 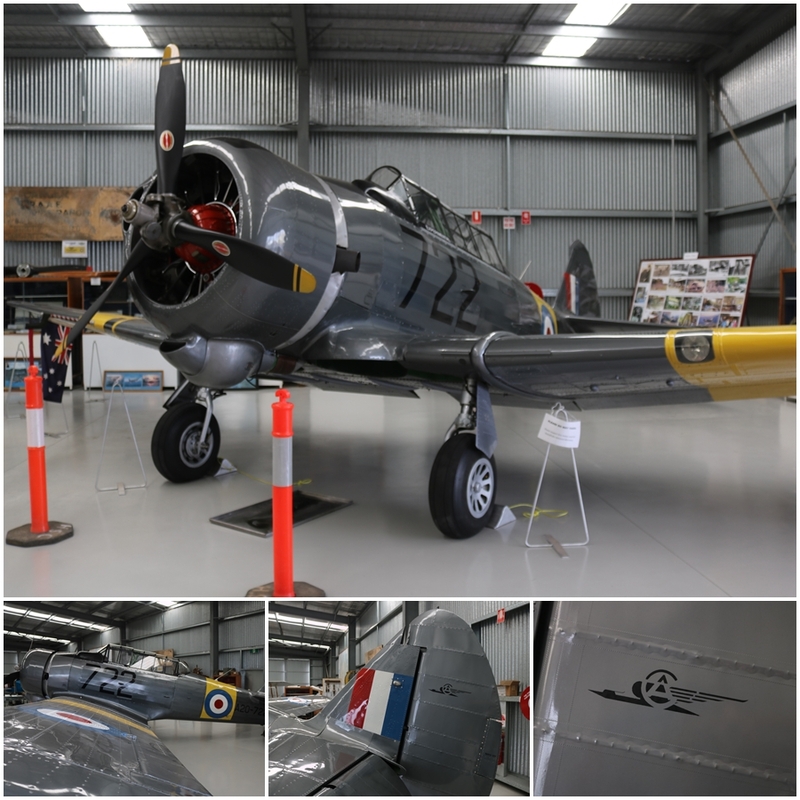 The former RAAF biplane basic trainer is a real beauty, fully flight ready (it is flown regularly) and looks like she just came off the production line, despite being built in Australia in 1942! 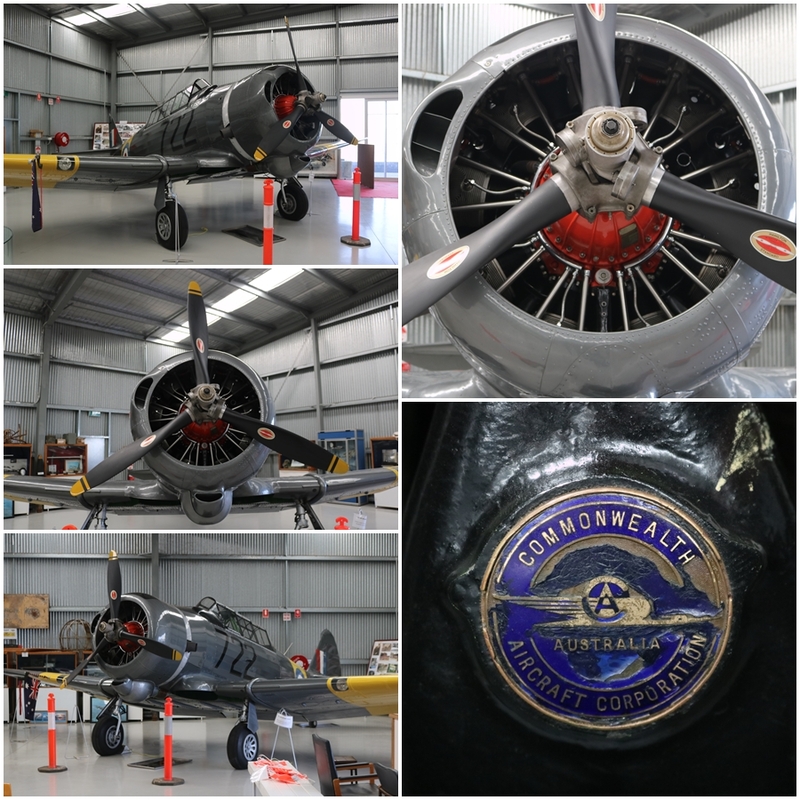 Obtaining the final aircraft for the museum collection, former RAAF CAC CA-16 Wirraway A20-722, was a huge community based achievement. 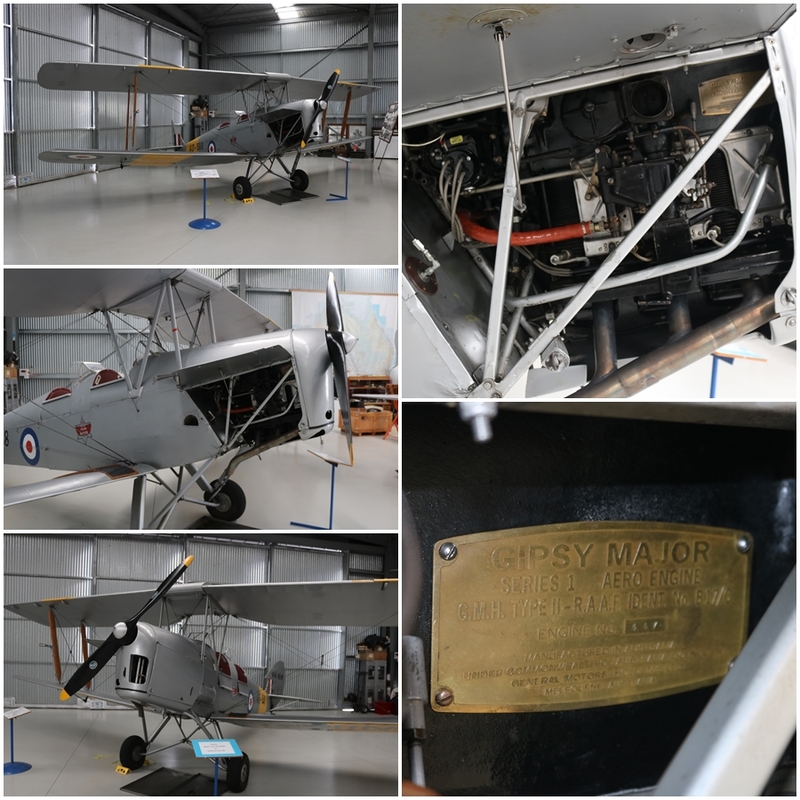 They raised the funds locally to purchase the aircraft at an extremely reasonable price of $300,000, which was offered by owner and restorer Borg Sorenson, a patron of the NAHC. 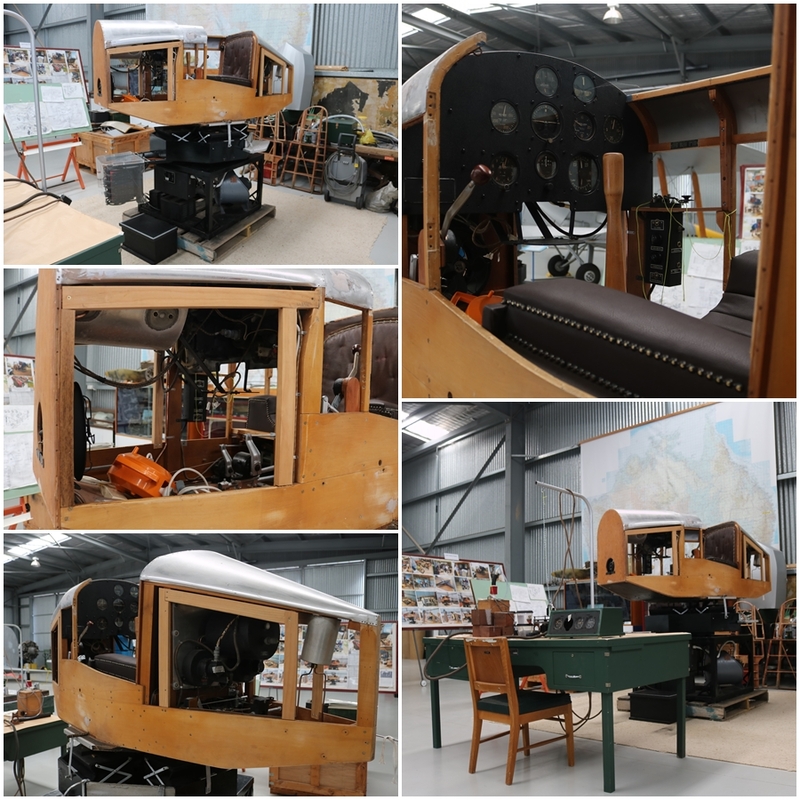 Borg wanted to retire the aircraft to Nhill, under the condition it would not fly again, to preserve it as an example of Australian aviation engineering. 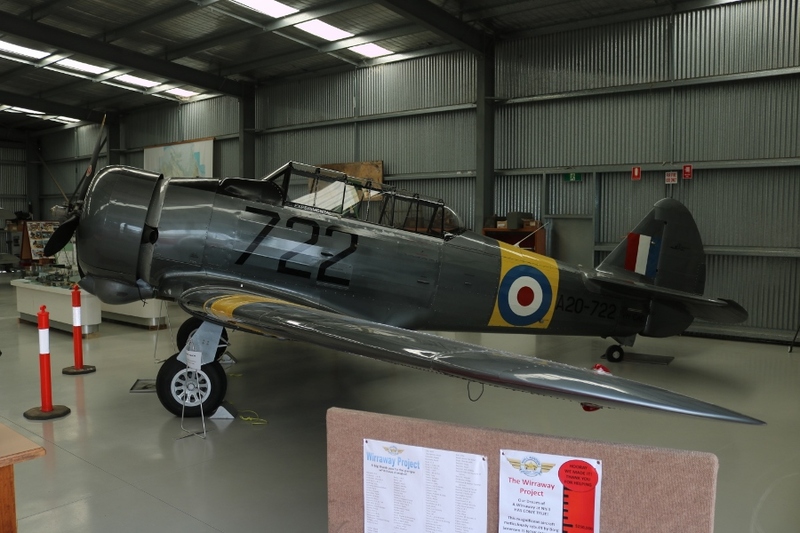 The Wirraway made its final flight from Tyabb to Nhill on April 28th, 2018 (unfortunately I was overseas and missed the handover event!). Wirraway A20-722 was delivered to the RAAF in August 1945 and struck off charge in October 1958 when it was sold off for parts. 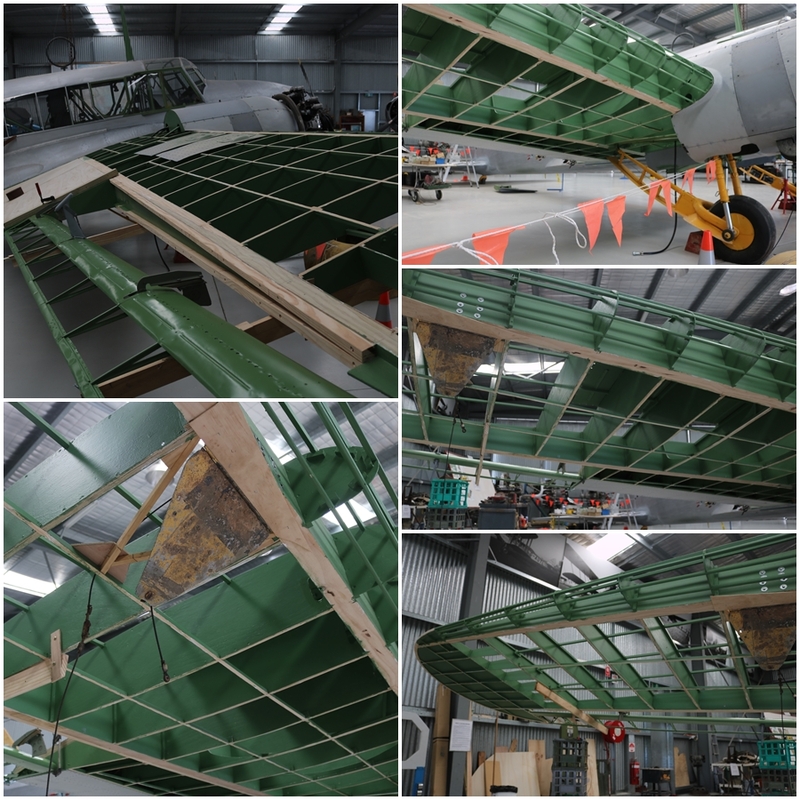 Borg recovered the remains of the airframe from a farm near Horsham (45 minutes from Nhill) in 1984 and began a long restoration in Tyabb, Victoria. 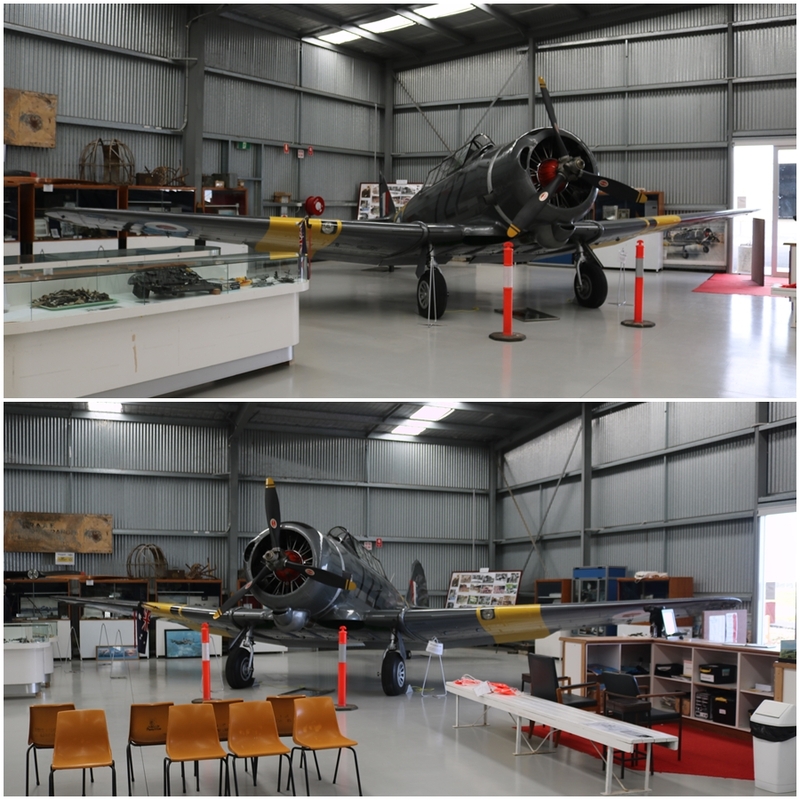 He used parts from other Wirraway aircraft A20-512 (also recovered from near Horsham) and A20-731. 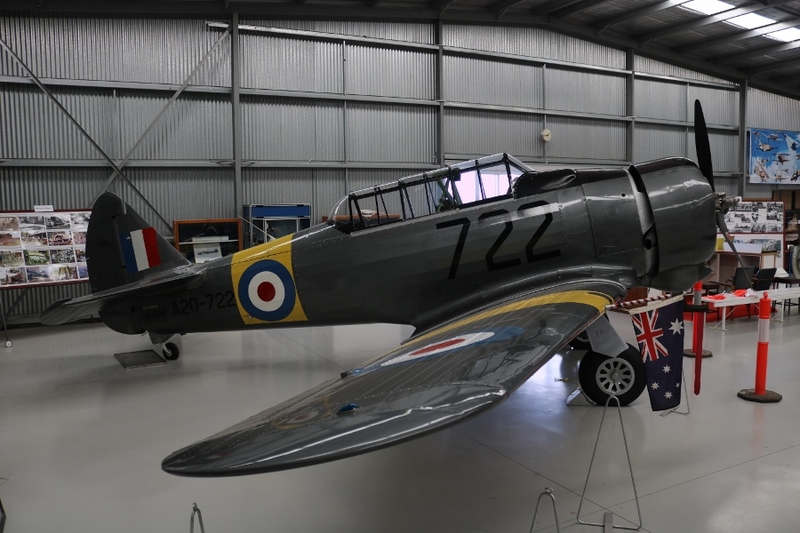 The Wirraway took its first post restoration flight on June 8th, 2002 and was regularly flown at aviation events for 14 years. The NAHC progress has been fantastic to see in my home region. 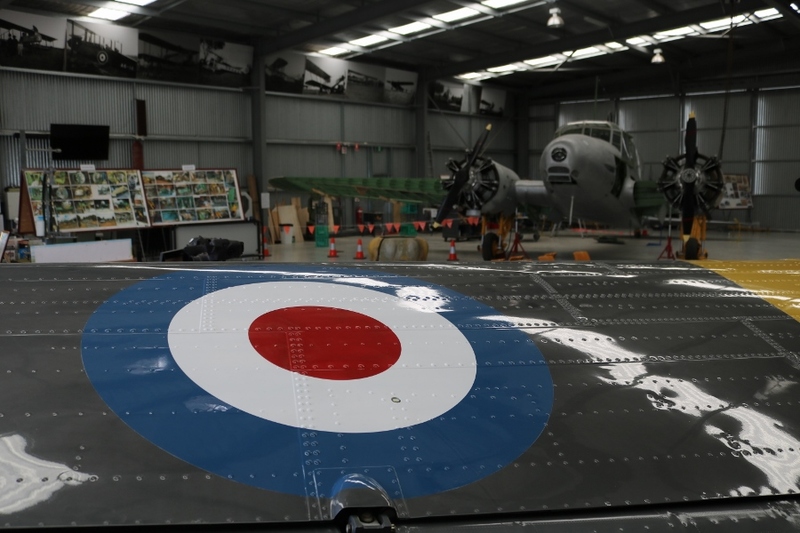 I cant wait to see the Avro Anson in a fully restored state and also what the future holds for this fantastic little museum, which has so much local history surrounding it. Once again, well done to the NAHC team! Thanks for sharing that, and the superb photographs! Thanks. Literally thousands of hours of their blood, sweat and tears have gone into such projects. Amazing dedication! They have certainly achieved a lot since those fledgling days! The restorations are looking great! Thanks for all the valuable info. and the superb shots. 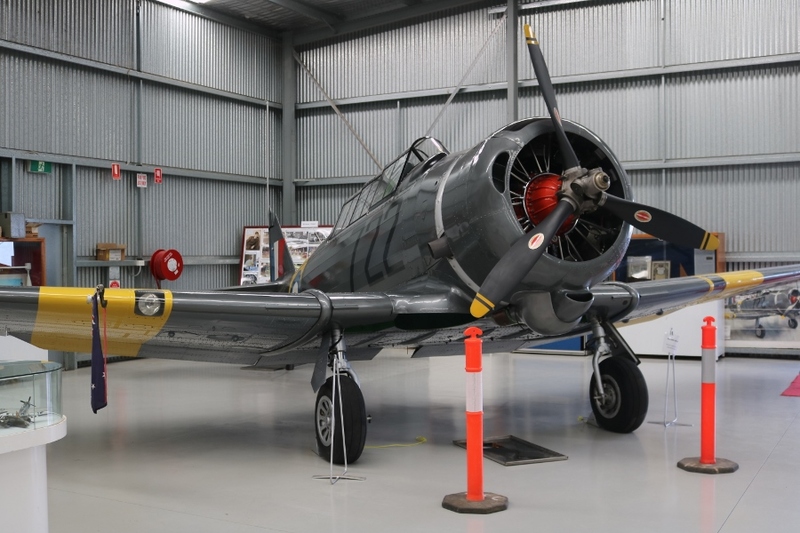 The Wirraway is new to me,it looks like a Harvard T6 ,but wut a 3 blade propeller. Live and learn. Thanks – it was developed from the North American NA-16 trainer, which in turn lead to the development of the T-6 Texan/Harvard. Deano many thanks for sharing the progress at Nhill. I too sadly was unable to be there for the arrival fly-in. However, I “slotted in” between your two visits; inApril. In fact I had the pleasure of camping at the ‘drome for two nights, and catching up with Jo & Team-extreme at WestPrint. Did the walk-around and learnt heaps of the past of this Special Place (Nhill WWII aerodrome). Also was given a great tour by Len. We chatted for quite some time. Over some sixteen years (sort of ongoing) I’d been researching Tocumwal’s “McIntyre Field”. Located on the “WWII Brisbane Line”. Named after Captain Patrick William McIntyre; ace aviator WWII from Illinois. I would love to be able to get in contact with his daughter/descendants if possible. Over those many years I perused thousands and downloaded hundreds of documents pertaining to McIntyre Field etc. Thanks Noel. Tocumwal certainly had plenty of history in itself! Is there a website, Facebook page associated with the squadron(s), Captain McIntyre flew with that you may be able to leave a message on in regards to contacting the family? One of Patrick’s daughter’s relatives some years ago was in contact with me. I had then sent “what I have” collated on Capt P W McIntyre to them, but no response since. He was the namesake of the airfield. Killed in an accident on a flight from Archerfield QLD. Here’s some links for you. Bob Brown was the Tocumwal curator. Next Post Singapore’s Double Bubble Super Skyhawk!